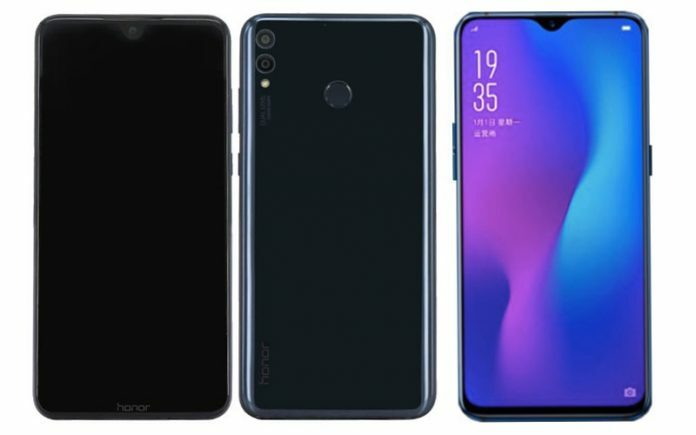 Honor 8X Max Mobile 2018 - Price , Launch Date , Features,Specifications. The Huawei Honor 8X Max is an Android-based smartphone that is powered by an octa-core Kirin 970 chipset and 4GB of RAM. The device has arear-mounted fingerprint reader and boasts a 7.12-inch Full HD+ display. It has 64GB of expandable internal storage space and is bundled withdual 16+2MP rear and an 8MP front-facing camera. Backed by a 4,900mAh battery, the handset has dual SIM support. Honor 8X Max price in India is expected to be Rs. 21,990. Honor 8X Max Expected to be launched on Sep 05, 2018. This is 4 GB RAM / 64 GB internal storage variant of Honor which is expected to available in Black, Blue, Red colour. The Huawei Honor 8X Max features a big 7.12-inch Full HD+ display. The screen bears a waterdrop-like notch which hosts the frontal imaging unit. The display on the smartphone is paired with wide viewing angles which ensures a good visual experience while you enjoy games or watch videos. Under the hood, the smartphone is powered by an octa-core HiSilicon Kirin 970 chipset and 4GB of RAM that is touted to deliver excellent performance even at its peak. You can work on more than two apps simultaneously or play graphics intensive games with no lags. The smartphone is bundled with an internal storage space of 64GB which you can expand further using a microSD card up to 256GB. The Huawei Honor 8X Max ships with a Hybrid SIM slot which can either be used for a SIM card or a memory card. For image lovers, the device comes with dual 16+2-megapixel rear and an 8-megapixel front-facing camera. The primary sensors are backed by an LED flash to aid low-light photos and videos. 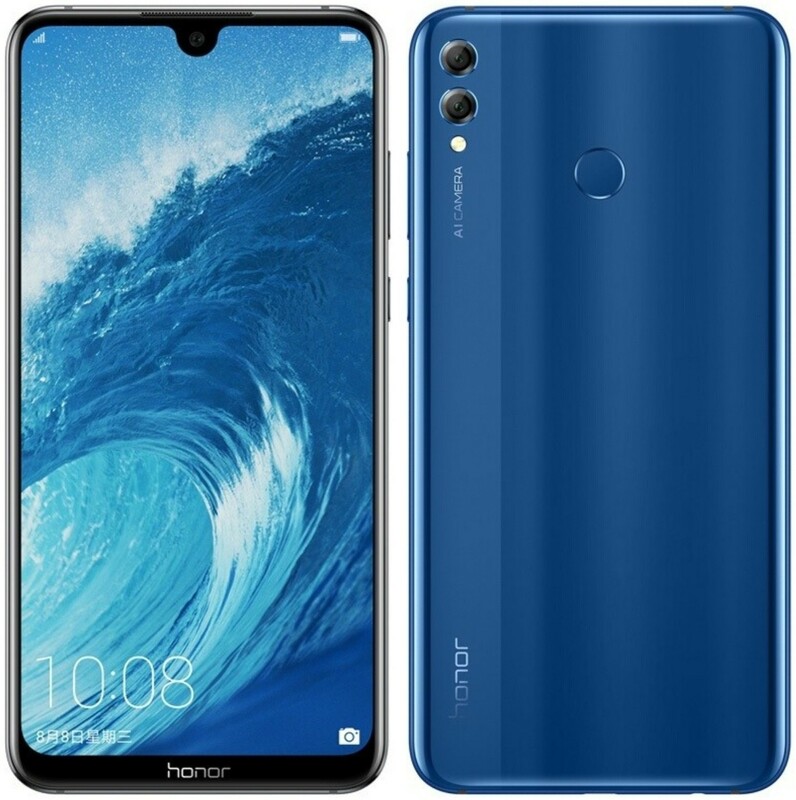 The Huawei Honor 8X Max runs the Android 8.1 Oreo operating system out of the box and is loaded with a giant 4,900mAh battery which is expected to hold up for more than a day even with heavy and extensive usage. Also, the battery has fast charging support. The Honor 8X Max is high performing premium device that offers the best of every feature. The cameras click great pictures under any environment. The front camera excels in the art of clicking selfies. The battery has a very huge life and runs the device for two days straight without charging. The storage is big enough to store all the users want to, without them worrying about the space running out. The display promises to give a premium multimedia and gaming experience. The configuration on the device is appropriate for high-end games and all multitasking jobs. Although, the device lacks some display protection. That kept aside the device is a tough competition in the price range and a great attraction for buyers.